Don’t believe everything someone says about “the only” or “the first” when it has to do with 19th Century black achievement. In my personal book collection, I have books going back to the 1840’s. I know of, have seen (but do not own) and read a book of poetry published by a black woman (a distant cousin) named Anne Drummond, back in the 1850’s. She was a free black woman, and I don’t recall the story about how she learned to read and write. Being free, of mixed race, and living in Virginia – I don’t believe she was ever identified as “black”, at least by the people who published her work. I will have to get a scan of that and publish it from one of her descendants. So I am not convinced, as this article claims, there were only 4 black authors in the 19th Century. After doing more research, I soon realized that Farro had made her mark writing about white people – and that this may also be the reason her work was forgotten. Learning of a black woman whose race was documented, whose novel was published – but who disappeared in the historical record – can change how we think about African-American literature. One other, “The Bondswoman’s Narrative,” was recently found in manuscript and published, even though the author, Hannah Crafts, is only circumstantially (although convincingly) identified. 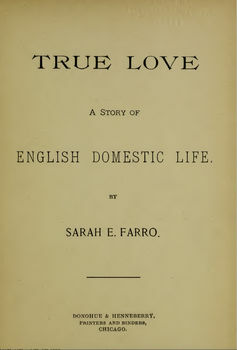 With my discovery, Farro becomes only the second known African-American woman novelist published in the 19th century. And she now joins William Wells Brown, Harriet E. Wilson, and Frank J. Webb as the only African-American published novelists in the entire century. The University of Illinois at Urbana-Champaign later digitized it for me, and now it’s available online for anyone to read. Just two weeks ago I found an original copy on eBay and immediately bought it for US$124. Listening to those on the old mono Console Stereo probably formed my appreciation for, and developed my tastes in music. The woman featured is none other than Sister Rosetta Tharpe, the “Godmother of Rock ‘n’ Roll,” who has one of the more enviable legacies in music. Her musical disciples and descendants reads like a who’s-who of legendary ‘50s and ‘60s figures, her personal history bears the earmarks of a classic outlaw, and her music is richly powerful and evocative—soul-stirring in the truest sense of the term. What a legacy that is—but that legacy has long been obscured. For decades, fans and critics tended to gloss over pre-1955 music as compared to the music of the late 20th century, and the fact that she was a gospel star likely places her in a certain niche in the minds of the general public. While names like Chuck Berry, Muddy Waters, Elvis Presley, Little Richard, and Jerry Lee Lewis became etched into the culture’s collective consciousness, Sister Rosetta Tharpe was rarely mentioned in the same breath—or even as an obvious forbear—to her rock ‘n’ roll offspring who would carry the genre into the mainstream. Born Rosetta Nubin in Cotton Plant, Arkansas, her mother, Katie Bell Nubin, was a singer, preacher, and mandolin player for the Church of God In Christ (COGIC) who encouraged little Rosetta to play and sing for services. A clear prodigy, it was through her association with COGIC that Rosetta would evolve into one of the most amazing gospel performers of her time. It was a church that believed in musical expression and was progressive in its view of gender roles within the church, encouraging women ministers and musicians. After moving to Chicago, little Rosetta and her mother became fixtures within the city’s gospel music scene. Upon signing with Decca Records, Tharpe issued singles that are instant smashes. Her versions of Thomas Dorsey tunes like “This Train” made her a household name—in particular, her reworked version of “Hide Me In Thy Bosom” (retitled “This Train”) was a breakthrough for her as a recording artist. Backed by Lucky Millinder’s jazz orchestra, the song raised her visibility with secular and white audiences and set the stage for a remarkable run that saw her perform at Carnegie Hall (as part of John Hammond’s “Spirituals to Swing” showcase) and record music with Cab Calloway and the Jordanaires. She also made recordings for U.S. troops stationed overseas; Tharpe was one of only two black gospel artists included on these “V Discs”—along with the Dixie Hummingbirds. But it was her song “Strange Things Happening Every Day” that proved a major leap forward for both her career and gospel music; it was the first gospel hit on the Billboard R&B charts, peaking at #2. There are a lot of Southern Myths about the Civil War and Antebellum South, and what life was like in the period leading up to the War. The root of the war was economic. By 1860, over 60% of the GDP, and near 80% of the trade was generated by the South. And just about every penny of that money was built and fully enabled by slavery. It is no mystery why the Articles of Secession by every Southern State lists the cause of their actions as to maintain slavery. The South was by no means monolithic as the Southern Myth would have you believe. And it was a dangerous place, with rebellion seething just under the surface. One of the few things which kept the slave master’s cruelty in check was the distinct possibility that ol’ Massa might “fall off his horse and break his neck”. There were hundreds, if not thousands of slave rebellions, and the risk was so great that during the Revolutionary War the Southern States supplied few troops to fight the British…Because they were needed at home to keep the slave rebellions in check. The sight of Haitian Troops marching to Savannah to attack British forces holding the city must have sent chills down the spines of Southern slave owners. Further the South wasn’t monolithic. Large regions, especially the Appalachians, had no real economic ties to slavery, making the western Southern States a battleground between pro and anti-slavery forces. If you examine the maps of the Shenandoah campaign between Union General Phil Sheridan and confederate General Stonewall Jackson, you will find that there are areas conspicuously avoided by the rebs, You will find the same in certain areas of North Carolina. Those areas weren’t “confederate friendly”. This Memorial Day we should celebrate those who fought to put down the rebellion, and ultimately end slavery. Over 100,000 of whom were white Southerners, and 260,000 of whom were black, often escaped slaves. In all the recent debate about erasing Confederate history, no one talks about the history the South itself has erased, such as the many Southerners who fought for the Union. Earlier this past week a judge ruled that the city of Louisville, Kentucky can proceed with the removal of a Confederate monument near the campus of the University of Louisville. Arguments against removing Confederate monuments over the past year have often claimed that in doing so communities run the risk of erasing history. What has been universally overlooked, however, is that the push to establish monuments to the Confederacy during the postwar years helped to erase the history of those white and black southerners who remained loyal and were willing to give their lives to save the Union. Southern Unionism took many forms during the Civil War. Some disagreed with the right of a state to secede from the Union at the war’s outset while others grew weary of the Confederacy in response to a number of factors, including a Conscription Act in 1862 that exempted large slaveowners, the impressment of horses or mules for the army, and a “tax-in-kind” law that allowed the government to confiscate a certain percentage of farm produce for military purposes. Others in places like Appalachia and other highland regions that included few slaves saw little value in supporting a government whose purpose was the creation of an independent slaveholding republic. Resistance to the Confederacy also took many forms throughout the war. The release of the movie, The Free State of Jones, starring Matthew McConaughey next month, will introduce audiences to Newton Knight, who led an armed rebellion against the Confederacy in Jones County, Mississippi. Some joined clandestine political organizations such as the Heroes of America, which may have contained upwards of 10,000 members. Networks of communication kept resistors in touch with one another and their activities throughout the region. Unionists risked arrest by Confederate officials, ostracism from within the family, and violent reprisals from the community. It is impossible to know just how many white southerners remained loyal to the Union during the war given disagreements over its very definition, but we do know that somewhere around 100,000 southern white men from Confederate states, except for South Carolina, served in the U.S. military. East Tennessee supplied somewhere around 42,000 men, but other Confederate states yielded significant numbers, including 22,000 from Virginia (and West Virginia) and 25,000 from North Carolina. The First Alabama Cavalry, which was considered one of the toughest units in General William Tecumseh Sherman’s army, took part in his “march” through Georgia and the Carolinas in 1864-65. The decision to express one’s loyalty to the Union by joining the army was often a painful one to make from the lowliest private to some of the highest-ranking officers. While the story of Robert E. Lee’s decision to resign his commission in the U.S. army, rather than betray his home of Virginia, is often told and re-told in tragic prose, others grappled with the same decisions and yet chose to remain loyal. The man who offered Lee command of the U.S. army in 1861 was another Virginian by the name of Winfield Scott. Scott, whose military career stretched back to the War of 1812—including a failed presidential bid in 1852—was the highest-ranking general at the beginning of the war. Scott’s decision was no less difficult than Lee’s and yet he remained loyal and although too old to take command in the field, he helped formulate military policy that ultimately proved successful in subduing the rebellion. General George Henry Thomas, also from Virginia, became one of the most successful generals in the war and saved the Union army from being completely routed on September 19, 1863, earning him the nickname the “Rock of Chickamauga.” His loyalty to the nation cost him his family, who refused to speak with him ever again and even turned his picture against the wall. Very few monuments to the service of these men and others like them, who defied family, friends, and community for the sake of the nation, can be found in the former Confederate states. And yet the removal of some Confederate monuments has caused some to worry about erasing history. The other significant Southern bloc that voiced their loyalty to the Union and commitment to crushing the rebellion was the region’s slave population. From the beginning of the war, and in the shadow of a Supreme Court that as recently as 1857 ruled that free and enslaved blacks could not be citizens of the United States, African Americans offered their services to the military. Beginning in 1862 along the Sea Islands of South Carolina and Georgia, former slaves rushed into the first all black regiments. 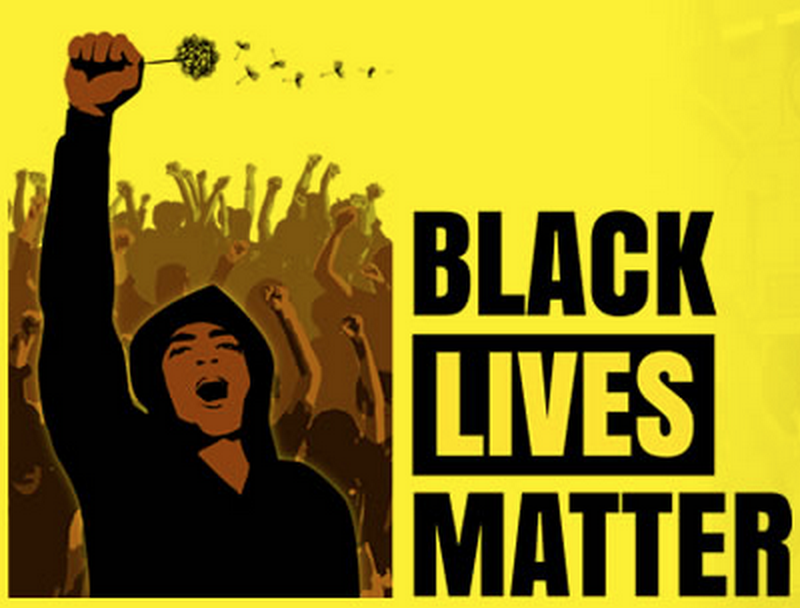 By the end of the war roughly 150,000 former slaves fought and died to save this nation. They did so under the most harrowing conditions. Black soldiers were massacred on battlefields and even sent back into slavery at places like Fort Pillow in Tennessee and at the Crater in Petersburg, Virginia by Confederates, who refused to treat them as legitimate soldiers. As if that wasn’t enough, their own government refused to pay them what white soldiers earned. Only sustained protests that lasted more than a year and continued demonstrations of bravery on the battlefield led Congress to correct this injustice in the summer of 1864. Southern Unionists, both black and white, may have celebrated Confederate defeat, but they continued to be persecuted owing to their wartime beliefs and actions by terrorist groups such as the Ku Klux Klan. Life was especially difficult for former slaves, who fought for the Union and now hoped to exercise the right to vote, own land, or run for public office. Their sacrifice for the Union ended in the rise of Jim Crow state governments by the turn of the 20th century. After the war, as white Southerners erected monuments to their Confederate dead they also erected monuments to their former slaves, only they recalled not brave men who fought to preserve the Union, but their loving former “servants” who remained loyal to master and their Lost Cause. The very act of monument erection helped to erase this history for much of the 20th century. The removal of Confederate monuments need not result in the erasure of history. In fact, it may for the first time create the intellectual and physical space to commemorate and remember a new narrative of the past, one that corresponds more closely to the long and rich history of service and sacrifice to this nation that is recalled each year on Memorial Day.